Me: "Where does this trail go?" "All trails go somewhere." It's a lesson Mark taught me over a decade ago. He's right, too. By definition, a trail wouldn't be a trail if it didn't go somewhere. The funny thing is...most of the time the "somewhere" that we end up finding isn't anywhere close to where we thought we would be. Yeah...every so often, we find ourselves running into POSTED signs and having to back track...but very rarely are we ever disappointed in the "point B" at the end of the trail and often we end up discovering new and amazing places to ride. 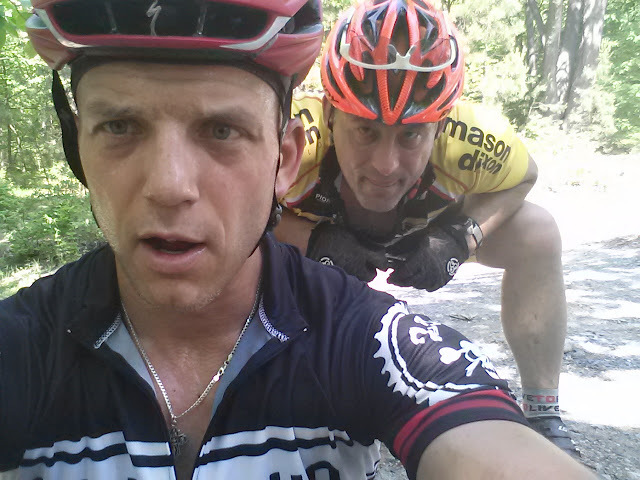 It's one of the things I love about riding with Mark. Just the other week, we caught sight of a trail at Rocky Ridge County Park that we never noticed before. Mark's comment was, "We'll have to go back and explore that!" I hope it's soon, too. 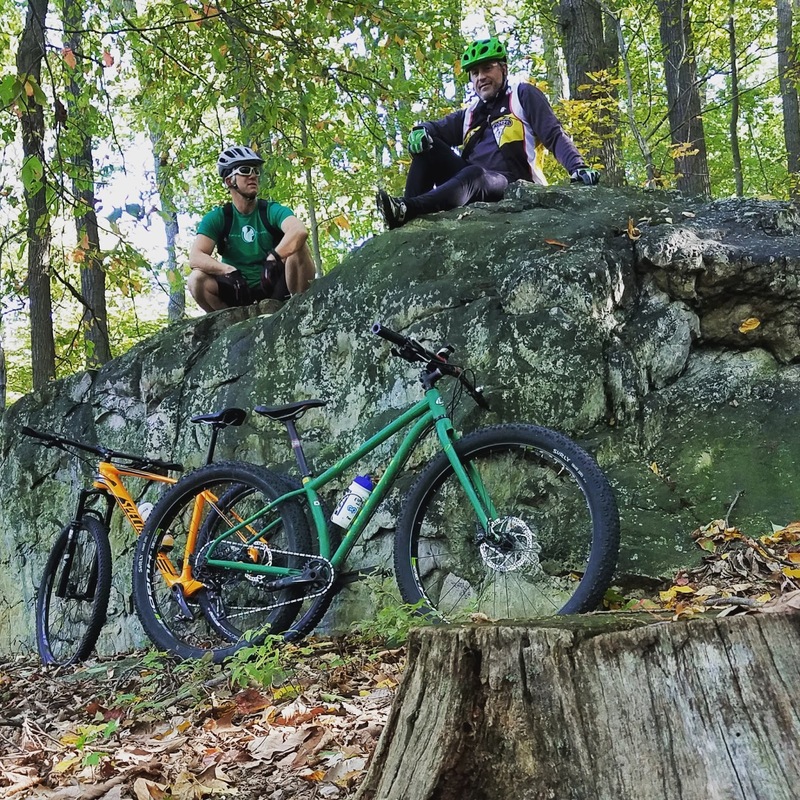 And when we do ride it, even if the trail doesn't lead us exactly where we anticipate it will...the trail will go somewhere...and that will be just as cool. BTW....Today is Mark's birthday. Happy birthday, bud. I hope this year brings you some pretty amazing rides. I LOVE this picture of Glenn. Taken in 2007 while we were mountain biking near Black Water Falls, West Virginia. As far as Glenn was concerned...this trail wasn't going "somewhere"...it was going into a swamp...and Glenn wasn't happy. Glenn, however, gets full credit for planting the seed in my head for what would eventually become this blog. 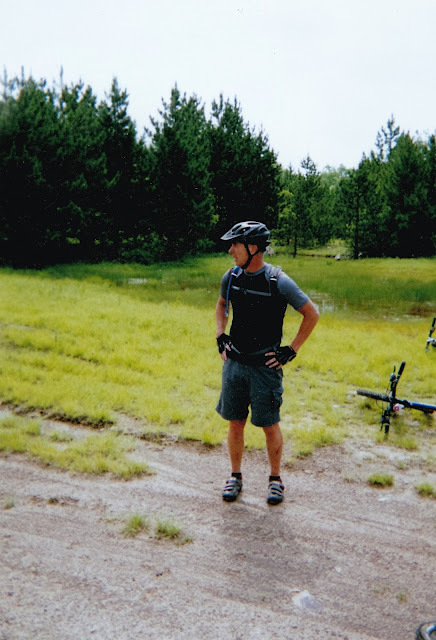 About 10 years ago...while the two of us were riding up a hill in Michaux on a hot summer day...I made the comment that I could already taste the post-ride ice cream at Mountain Creek. He reply to me..."With you, Davy...all trails lead to ice cream." Thanks for the inspiration, bud. As we know that the when we require the best writing services of essay writing then we should have to pay them too much cost with this, but when I see the edubirdie login cost of dissertation writing services i quickly impressed by seeing their rate and package for the best essay writing services.